Hey Kiki! I want to save money by doing my own manicures and pedicures at home. The only problem is I’m not sure what tools I should have in my kit other than nail polish and nail polish remover. Can you please help me in this area? When you buy a nail polish remover, make sure its alcohol and acetone free removers. Go for an acetone free remover for lighter shades and a nourishing acetone remover that contains aloe or vitamin E for darker shades. Base coats prevent pigment from getting into your nails, which leads to yellowing and prevents polish from drying nails. It basically smooths the surface and help the polish to adhere so it won’t chip. If you find yourself having weak nails, use a strengthening formula. Top coats help the nail polish to last and also adds shine. Invest in high quality clippers, especially if you do your nails at home a lot like me. The clippers will stay sharp longer and provide consistently cleaner cuts. If your on a budget and can’t afford high quality clippers, any clippers from the drug store will do the trick, just long as you replace them at least annually. There are two types of nail buffers: classic and newer textured. The classic ones gently polish nails to shine and the newer textured have two more surfaces that is designed to remove tiny ridges, smooth bumps and polish the surface of the nail. Fine grade surfaces smooth the nail edge while a coarser surface shortens and shapes the nails. Basically use to snip away hang nails. When you want to clean your cuticle nippers, just place them in boiling water for about 8 minutes and then wipe them with alcohol. The purpose of orange wood sticks is to push back the cuticles and remove polish from the crevices around your nails. 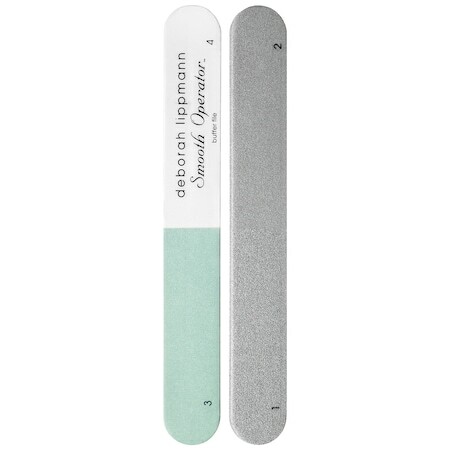 Cuticle remover exfoliates and softens your cuticles. Just apply it before soaking your nails. Cuticle oil moisturizes the cuticles, but does not remove them. Foot paddles gets rid of dead skin from the heels. It works effectively when used on damp skin only. Toe spacers are excellent from preventing toes from bumping and polish from smudging when doing a pedicure.